Sunday's 20-17 loss to Atlanta hurts, but Packer Nation should be feeling as good as they possibly can after a loss. Green Bay played at the highest level it has all year, showed relentless fight and made very few mistakes. But those few mistakes were glaringly obvious against an Atlanta team that played nothing short of flawless. The Falcons did not disappoint, but prepared and executed a game plan. Mike Smith's plan allowed Matt Ryan to command the game by making efficient throws and watching bowling-ball like back Michael Turner bounce in between and through the Packers defense. For the first time this season, Dom Capers had to be second-guessing many of his calls. The Packers defense was off balance the entire afternoon and might have had better luck flipping a coin to guess run v. pass. This is the biggest point of concern for the Packers defense - now exists a tape clearly showing how to frazzle Capers, Claymaker and Chuck. Short to go playcalling: The Packers have struggled mightily on 3rd-and-1 and 4th-and-1 at critical points throughout the season. Mike McCarthy needs to throw away every call he's made in these situations up to this point in the season. Fullback dive, QB sneak, toss right, sweep left - anything that forces the offensive line to run block must be avoided because they are incapable of pushing the defense. Put the ball in Rodgers' hands and allow him space to potentially run for the first down or have a few dump options short as well as a deep option. Aaron Rodgers' most impressive game as a pro: He orchestrated a 16-play, 90-yard COMEBACK drive in the fourth quarter, on the road, against an excellent team, without a running game while methodically working the clock and spreading the ball to different receivers. He converted two fourth downs, including a 4th-and-10 ball seemingly shot from a cannon that precisely pierced a football sized hole in Atlanta's defense for the game-tying touchdown. Wow. I'm no longer worried about whether A-Rod can step up under pressure. Resilient can describe this team: After two trips to the red zone netted just three points in the first half, the Packers could have mentally collapsed. Instead the Packers responded to every Falcon score, never gave up a big play and converted tough 3rd and 4th downs to keep them in the game. A loss hurts, but with five games left in the season the Packers will have plenty of opportunities to finally put together a complete game and win a significant game. As painful of a start as 3-3 is for the Packers, if a handful of footballs bounce another way, if a few knick-knack penalties don’t get called or if a few more footballs are caught by the Packers receivers – Green Bay could easily be sitting at 5-1. But they aren’t. And the little things are signs of different trends and subplots that have festered throughout the first six weeks of the season. The following three issues will need to be fixed if the Packers expect to beat the Vikings. 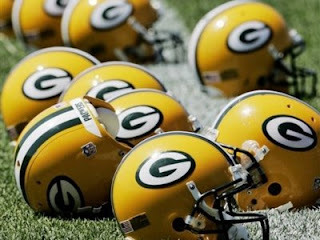 They are also keys for the Packers if they expect to survive this current critical stretch in their 2010-2011 schedule. We’ll monitor these keys for the next few weeks and analyze how wins/losses compare with the Packers performance in these categories. Yes that’s right, average. If the Packers can manage to not make a huge mistake on special teams tonight – their chances to win this game increase significantly. No botched punts, no fumbles, no big returns by Percy Harvin. Sounds pretty easy right? The Packers punting, coverage and not being able to secure the ball have caused game-changing moments such as when Devin Hester returned a punt for a TD to take the lead early in the fourth quarter in Week 3 in Chicago. Week after week in 2009, I marveled at Aaron Rodgers’ third down passing statistics. He consistently led the league in third down passer rating and the Packers enjoyed one of the most effective third down conversion rates in the NFL. Rodgers’ and the Packers success on third down in 2010 have been dismal – to put it kindly. Not having trusted offensive weapons obviously makes converting more difficult, but at some point this must become an emphasis for the coaching staff. Last year it seemed Rodgers had a keen sense of when to escape the pocket, (especially on third down) but in 2010 Rodgers seems tentative, indecisive and unwilling to run for first downs. Rodgers needs to recapture the mindset of doing whatever it takes to convert on third down – even if it means tucking the ball, using his legs and diving for the marker. It’s on your shoulders #12. Looking at the Packers first six games – it makes sense they haven’t been able to control the clock. No running game coupled with an inconsistent defense has slashed the number of offensive plays the Packers run in a game. More importantly, Green Bay’s crippled defense has been forced to spend far too much time on the field. Considering the slew of injuries, the Packers defense has played valiantly for about 65-80 percent of every game this year – but when it’s time to make a fourth quarter stop (against below average offenses) fatigue clearly catches up with them and they wilt. The Packers will need to keep Peterson off the field, force Favre’s hand by bringing early and consistent pressure and eat clock by sustaining long drives. It’s less important if points come out of the possessions (although that’s always a plus) but more essential that the Packers dictate the pace of the game. Packers edge the Purple People on a sweet bit of redemption for Mason Crosby as he drains a 49-yard field goal late in the fourth quarter. Packers finally get a late, close victory. Can the Packers contain Vandenbosh and Suh? That is the question that'll determine whether this game stays close for a while. Expect the Lions to mimic the bears defensive style in rushing just their front four and dropping everyone else back in coverage. Except the Lions have an awful secondary and LB core. McCarthy will likely try to establish the running game early and often mixed with play action deep shots. Packers will connect on at least two huge plays of 40+ yards today and put up a big number. Rodgers' dominance of the Lions continues and the Packers win 38-10. No game in the NFL should be deemed an automatic win for one team. Anything can happen and the Packers need this week's matchup against Detroit to prove to themselves that they are still a Superbowl contender. In last week's post about the Bears vs. Packers game, I said the Packers and Aaron Rodgers specifically had a statement to make. Rodgers made his statement by elusivley shaking the Bears pressure and making accurate, clutch throws throughout the entire game. He looked like the MVP caliber QB the media has claimed he is, but the rest of the team played like it was their first game under the spotlight. "Coach Mike McCarthy felt that part of the reason for the special teams letdown was that several players who looked on Wednesday as if they might be able to play Sunday, wound up being ruled out Friday because of injury. Eventually, it became a board game trying to move players in and out and around." "Right now, we have so many guys that play special teams well that if somebody goes down someone who's just as good should be able to step right in," Peprah said. "So that shouldn't be an excuse. We try not to use that as an excuse." Well clearly, Peprah's head coach is making this very excuse. And it won't be acceptable to keep making excuses all year. Great coaches don't make excuses. Great coaches fix problems before they blow up. McCarthy has every piece of the puzzle he needs right now (except a consistent RB) to make a deep playoff run. As long as the Packers avoid the big mistakes and let their Pro Bowl QB run the show - they won't have any issues winning lots of football games. Stay tuned for my specific pre-grame analysis post of the Detroit vs. Packers game, including personnel matchups and game predictions. Statistically speaking, the Packers battle with Chicago on Monday Night Football doesn't mean a whole lot. It's week three and both teams still have much to prove whomever comes out on top. But there's more pressure on Green Bay and Aaron Rodgers. With less-than-stellar showings in the first two weeks, the Packers need to play to their potential and it's up to Aaron Rodgers to set the tone. Rodgers will face pressure from the Bears defense and his pocket presence will be tested on every possession. Rodgers is skilled at feeling pressure and escaping the defense, but his decision making must be decisive and smart. Rodgers hasn't been given many opportunities to throw deep this season, but expect Rodgers to have open receivers down field against the Bears secondary. 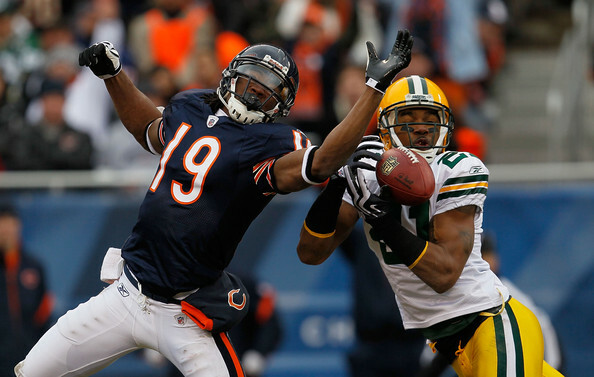 Rodgers must hit these receivers and force the Bears' defense to honor the long ball. It's games like this that will begin to define Aaron Rodgers and his legacy as an NFL QB. How does he respond in clutch games? Does he rise to the occasion and raise his level of play? Putting up big stats is one thing - but winning clutch games is the true measure of a great QB. 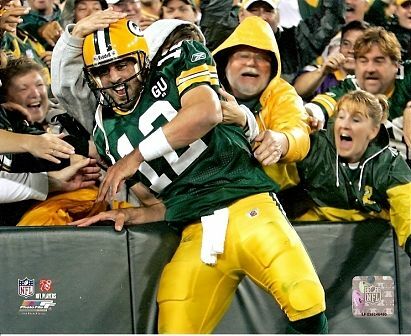 No doubt Rodgers will have many other clutch opportunities throughout the season, but MNF in one of the most storied rivalries in sports, is a perfect chance for Rodgers to make a statement for his Packers. It's going to be a good game. Yes, any Packers or Bears fan understands that every such match up usually produces an entertaining 60 minutes of clock-cleaning, head-smacking and overwhelming emotion. This Monday night will be no different. As a "resident" of Chicago it's interesting to peruse the Tribune and other local media outlets to gauge the conversation as the Bears have flashed a glimmer of hope to begin the season. But as the lights glimmer Monday night - witty Chicago writers will struggle to find words in describing what transpired in their backyard. 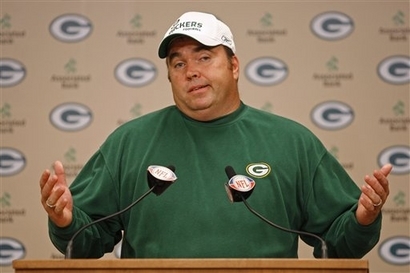 Mike McCarthy hasn't even flipped past the first page in the Packers play book. McCarthy hasn't been calling plays to win, but rather calling plays to not lose. Expect McCarthy and the Packers to shows some guts on Monday night. Five wide receiver sets, slants and go-routes will characterize the passing attack forcing the Bears to run, run and run. Cutler will be pressured on a consistent basis and make painful mistakes that kill scoring opportunities. Rodgers will rhythmically and methodically work the pocket and find open targets leading to BIG plays. Forte will show flashes of life and score 2 TDs; but Lovie will abandon the run game much to early, leaving the game in Cutler's hands. And that won't work out for him. Julius Peppers won't get a chance to interrupt Rodgers' rhythm enough to make a measurable difference. Bears offensive line won't block effectively enough for Forte to get into a running rhythm. The Packers road test in Philadelphia marks the start of a 2010 campaign filled with high expectations. McCarthy will have this team ready and execute an aggressive game plan. Expect the Packers to spread the Eagles defense out, take deep shots early and create match up problems with Jermichael Finley. With two rookies starting in the secondary (Burnett and Shields), Dom Capers needs bring timely pressure and avoid giving up huge plays to the Eagles' play makers. As the Kolb era begins the Packers will create at least two turnovers and make Kolb uncomfortable in the pocket. 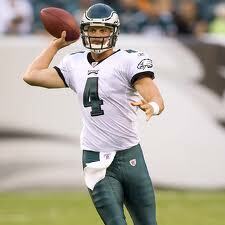 Philadelphia can make this a game if Kolb shows poise in the pocket and can find his speedsters down field. Ultimately, Kolb and crew won't keep with with the Packers high powered offense which is why I pick Green Bay in a shootout. Aaron Rodgers: 29/37, 327 yards, 3 TDs, 1 Int. On the surface, perhaps it was a valid question. The Packers offense posted impressive team and individual stats in 2009-2010. Below is a snapshot of the Packers offense in 2009. But if you understand the Packers and what’s changed this year, it’d be clear why the Packers’ offense will improve. It’s scary to think the Packers can be more dangerous on offense; brace yourself NFC North and rest of the NFL. Here are three reasons why the Packers offense will be better in 2010. Any great offense needs protection for its QB, lanes plowed for its RBs and depth. This years’ O-Line is aligned to provide all three. Green Bay has a healthy (knock on wood) mix of veterans and young potential to facilitate learning, drive internal competition and allow the offense to optimally operate. Jermichel Finley is a matchup nightmare and is poised for a breakout year. His combination of speed, athleticism and height make him un-coverable (including you Revis). Every and I MEAN every Packer wide receiver is a threat. From #1 Jennings to #5 Swain, they all have big play capability and experience. An improved O-Line means a more consistent running game and more breakout plays for Ryan Grant. And, dare I say I’d be excited to see Brandon Jackson get more touches? I’ve become a big Jackson fan and hope his talent pushes the coaching staff to consider a RB by committee system. He’s a nice change of pace, great blocker and formidable receiving threat. A 70/30 split between Grant/Jackson would force defenses to honor the run game more than in 2009. Look for Jackson to shine IF he’s given the opportunity. 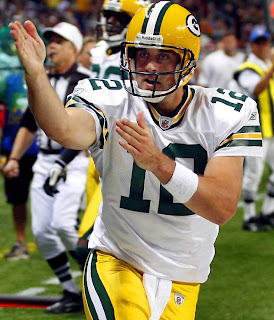 Rodgers’ talent doesn’t have a ceiling and as I predicted – he’ll win the NFL MVP in 2010. He has all the tools including the most important attribute a QB can have—instinct.With this intangible comes pocket presence, game management skills and success under pressure, among others. The next measuring stick for Mr. Rodgers is real, proven success under pressure. 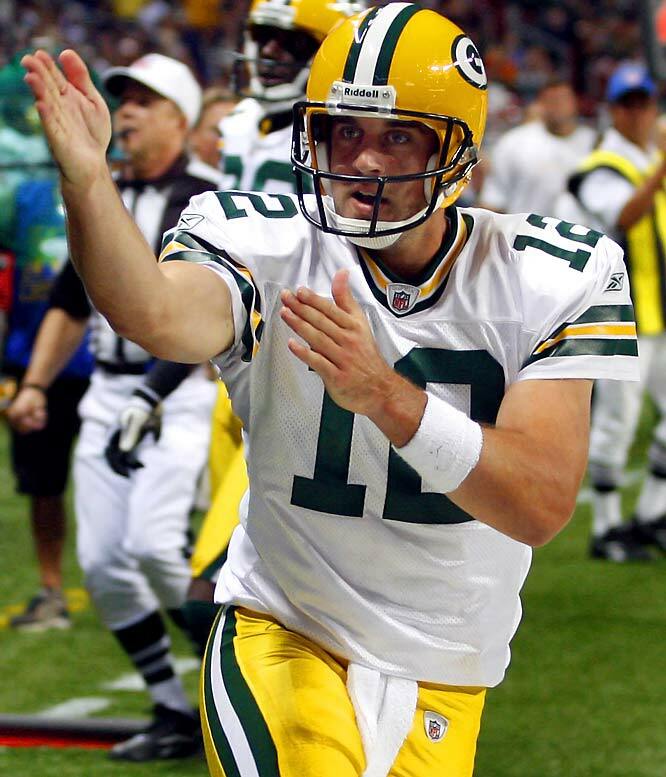 While Rodgers has valiantly kept Green Bay in games, executed last minute drives and steered his team clear of catastrophic turnovers – he MUST show he can single-handedly win the Packers an important game (preferably in the playoffs – i.e., Superbowl?). NFL greatness is centered around winning—consistently, dramatically and impressively. A-Rod will prove that in 2010. CHICAGO, Ill., GREEN BAY, Wis. (Sept. 2, 2010) - Lifetime Green Bay Packers fan and Wisconsin native Shane Arman officially launched Arman's Titletown Talk, a blog dedicated to passionate Packer conversation, tonight after separation anxiety from Wisconsin and his fellow Packers fans pierced his soul to near death. "Now that I live in enemy territory (Chicago) it's imperative I continue to make my voice heard in support of the greatest team in sports - the Green Bay Packers," Arman preached at a local Green Bay press conference Thursday night. Besides his clearly green-and-gold-biased point of view, Arman expressed excitement in potentially interacting with football fans from other NFL teams as well. "While Titletown Talk is focused on entertaining and engaging Packer fans, other NFL teams may also have a slight fan presence who may or may not have an opinion," Arman said. "The hope is that other fans at least make an attempt to defend their team from belittlement in comparison to the Packers; but then again Packer fans are of a different breed." Arman is already making bold predictions, including that of a Packers Superbowl victory in 2011, an NFC north crown and Aaron Rodgers hoisting the NFL's MVP award. "This is the year for Rodgers, McCarthy and the cheeseheads to re-claim Mr. Lombardi's hardware and bring the symbol of football excellence back home to Green Bay," Arman said. Those who share the Packer passion with Arman can expect a healthy dose of content from Titletown Talk centered around the Packers schedule, with opportunities for fans to contribute content, engage in debate and offer fan-analysis. For more information on becoming a contributor, guest writer or if you have any questions about Arman's Titletown Talk, e-mail shanearman@armantitletown.com.